The Art of Living a Passionate.. The struggle for men and women to understand each other is nothing new. We are so different from each other in so many ways; it’s a wonder we’re of the same species. Nothing is more frustrating than being in love with someone and constantly feeling misunderstood. Personally, I find it to be the loneliest feeling. Communication is the key element to any relationship and you both must be dedicated to it. However, there are far too many times you attempt to communicate and end up going around in circles. Sometimes for hours. How is this getting you anywhere? This isn’t to say that men don’t play their own role in this, of course they do. I have said so many times that when it comes to our relationships, more often than not, women are the catalyst. We are proactive and men are reactive to us. If we make a change in our behavior, they will follow suit. Sometimes you need to be the one to step up and make changes, it’s not about him winning or you having to do the hard work. It’s about being the one to set the changes in motion, for the greater good of the relationship. Look girl, don’t roll your eyes at me. If you are upset with someone it’s your responsibility to tell them why you’re upset—not make them guess. I know that when you’re feeling the mix of emotions, you think he should have some grasp of what he’s done to cause it. This is far less true than you can realize. 9 times out of 10 he’s going to have zero clue what you’re upset about. Chances are if he has an idea what you’re upset about, he may still not understand why. Why not tell him? Do you enjoy the chaos that misunderstanding brings to your relationship? Do you enjoy watching him be uncomfortable and try to figure out what he did to upset you? Leave games for the people in toxic relationships and let him in on what upset you. You’ll be amazed at how much quicker you can come to a resolve and move forward together. Sometimes our emotions get the best of us and when someone does something that hurts us, we tend to have a wave of feelings surrounding it. Sometimes these emotions can cloud reality. Unless you’re dating a jerk or have some sort of childish, hurtful relationship, your guy shouldn’t be saying or doing things intentionally to hurt you. So let’s say he did something. It hurt you. He didn’t mean for it to hurt you. What then? Do you punish him for it? I can assure you the majority of men hate being the cause of our pain. So take a step back and think what it was that he did or said that hurt you—and then tell him. I know. That all seemed incredibly transparent and honest, but telling him how something he said made you feel will show him that while he didn’t do something wrong, his actions or words made you feel a certain way. If he knows how to make it better, he will most likely try to do so. In the heat of the moment we both have the ability to make everything worse. You get upset, he gets defensive. Before you know it you’re arguing about the way you said something or how he answered a question rather than the issue at hand. Before you approach, try to take a step back to process. It’s so easy to dive into a fight or discussion without calmly thinking about it first. Productive discussions rarely occur when either party is upset, so do yourself a favor here. Taking some time, remaining calm and a less emotional approach is for everyone’s benefit. If you want to sink your ship quickly, going in with guns blazing and accusations flying is a sure way to do it. Sometimes, when I’m pissed, I have already created my own story of what went down. It suddenly becomes very difficult to listen to anything otherwise and by the time things are hashed out, I’m the one that needs to do some apologizing. Shooting first and asking questions later never helped anyone, and it certainly isn’t going to get you on common ground. Ask questions, find the truth and give the benefit of the doubt. You both deserve that. To men, hints are like invisible ninjas. They never see them fly by and frequently get their asses kicked by them. Hints do not work. Subtle hints, strong hints, obvious hints—none of them work. If you want something you need to come right out and tell him. Save yourself the time and energy spent by dropping hints and then being upset he didn’t pick up on your needs or wants. They aren’t mind readers or detectives; it doesn’t have to be that difficult. Just tell them. There’s nothing more frustrating than thinking an issue has been resolved, only to have it tossed in your face later as ammo. Better communication means truly resolving each issue as they come. If you aren’t quite over something, be honest about it. Take the time you need without hanging it over their head. Then figure out how you can get past it and move on. Do not use each new circumstance as a plate to pile on past issues. If it’s a recurring issue, address it, but don’t just rehash old news for the sake of it. These tips don’t just have to be applied to misunderstandings, arguments and fights. Making more of an effort to honestly communicate can open all kind of communication doorways in your relationship. Sharing your wants, desires and needs will give him an opportunity to fulfill them and, as a result, make you happy. Learning to communicate properly with your man creates a safe space for him to communicate back with you. Once the lines are free and open, as a couple, there’s no stopping you. 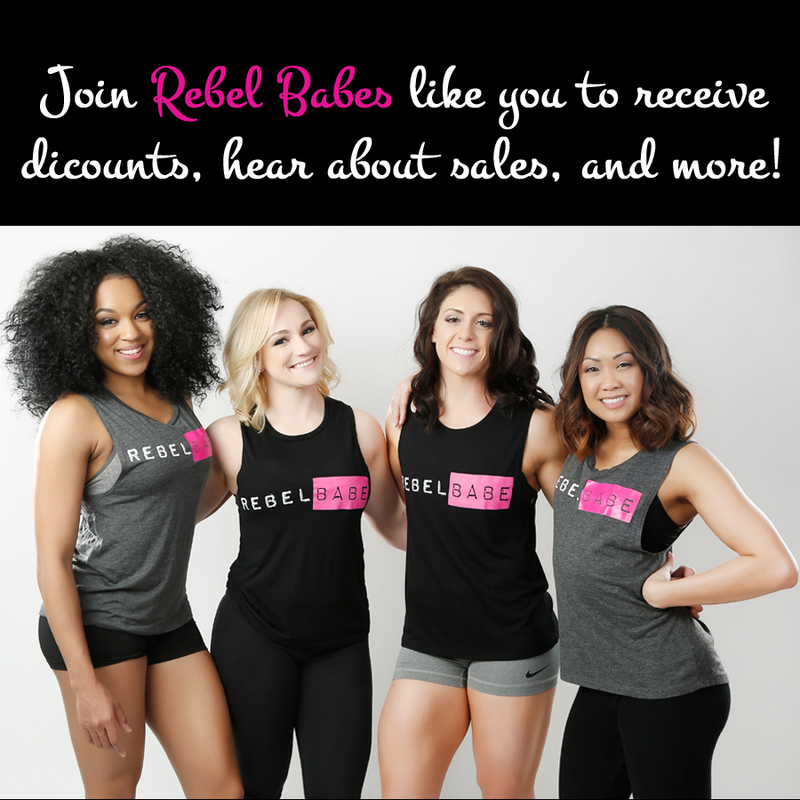 Chrystal is the creator of the lifestyle blog, Hey Little Rebel and the Overlord of Rebellia - A clothing company for athletic women.Chrystal is an author, travel junkie, health/fitness fanatic, NASCAR wife & fur mommy. Want to say hi? Hit her up on any of her social media outlets or email her.